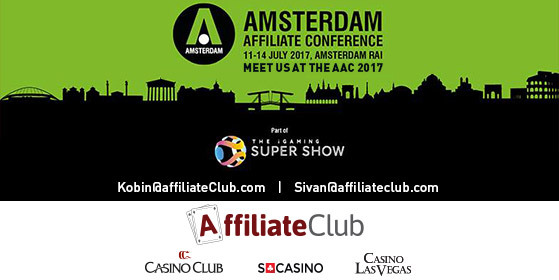 The Amsterdam Affiliate Conference is fast approaching and we would love to meet! If you are attending our affiliate team would love to book a meeting. Please contact your account manager, KobiN@affiliateClub.com and Sivan@affiliateClub.com, in order to arrange a time with our team on July 12th-13th. We hope to see you there!